Make sure you visit Casino Estrella throughout the week, because you’ll get a chance to grab a 25% (up to €100) bonus on all deposits made during the time of our surprise Happy Hours. This surprise promotion can come up at any time and is only valid when the banner is shown on their home page. So make sure you’re logging in daily to play our great games… and catch the next Happy Hour! 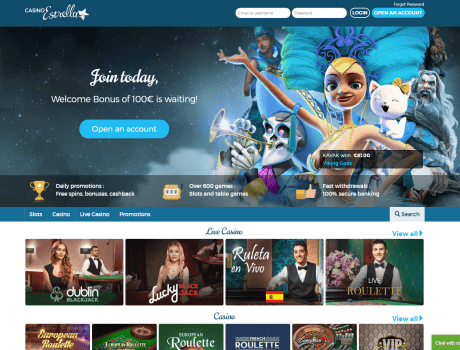 This promotion is only valid when the banner is shown in Casino Estrella Home page. Each bonus is triggered by a minimum deposit of €20. The player can get a maximum bonus of €100 per transaction and €1000 per day.